restore the popular park to what it once was. Extreme drought and hot weather contributed a substantial amount to the death of much of the plant life within the trials at the park. perfect scenario to erode the rocks and trails along the mountain because of the many periods of heavy rain. While the city begins its effort to restore the park, California Baptist University students and visitors can continue to hike along the trails despite the appearance of construction equipment. Madison Gonzalez, sophomore liberal studies major, commented on what the park has meant to her with the trails being close by. “Hiking up Mount Rubidoux definitely allows you to regain perspective and appreciate Riverside more,” Gonzalez said. enjoy the view, city officials said they want to repair many aspects of the park that have been damaged because of visitors choosing to go off-trail. Much of the plant life is already sensitive due to the intense heat that the park and city itself suffer year-round. However, people trampling plants by going off-trail eliminate any chance the plants have of survival. “The city put up signs warning people to stay off illegal trails, but the flexible plastic markers were easy to destroy and most didn’t last,” said Mike Gardner, city councilman. 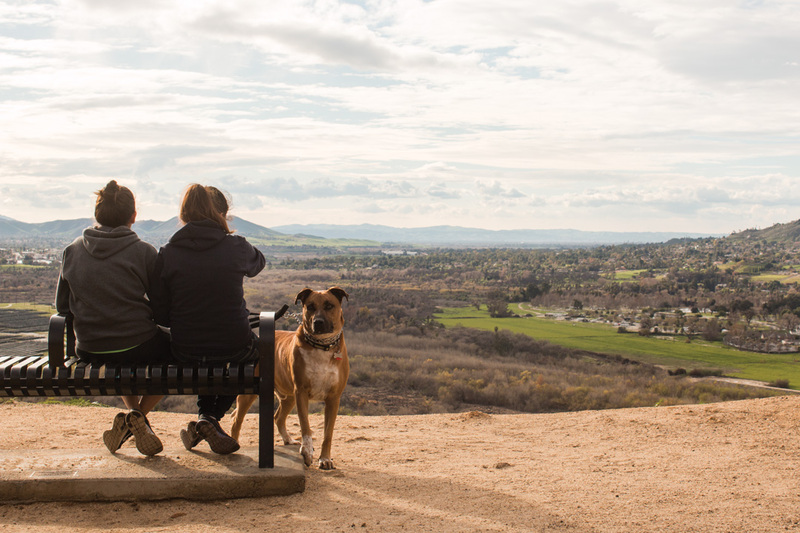 Mount Rubidoux holds a special place in the hearts of CBU students for many different reasons. Magdalena Meza, freshman undeclared major, said she is glad the city is taking special precaution in caring for the park because of the benfits Mount Rubidoux provides. “It’s so close to campus, a good spot to get in a good workout, and (a great) chance to see a view of Riverside,” Maza said. Future visitors to the park must strike a balance between enjoying the beauty of the park and respecting the rules set into place if the park itself is going to maintain a certain standard.